Elizabeth de Bohun, Countess of Arundel, Countess of Surrey, my 17th great grandmother (c.1350- 3 April 1385), was the first wife of Richard Fitzalan, 11th Earl of Arundel, Earl of Surrey, (1346- 21 September 1397 Tower Hill, Cheapside, London), a powerful English nobleman and military commander in the reigns of Edward III and Richard II. She was the mother of his seven children. Elizabeth de Bohun was born around 1350, the daughter of William de Bohun, 1st Earl of Northampton and Elizabeth de Badlesmere. Her older brother Humphrey de Bohun, 7th Earl of Hereford married Joan Fitzalan, a sister of the 11th Earl of Arundel, by whom he had two daughters. Elizabeth had a half-brother Roger Mortimer, 2nd Earl of March by her mother's first marriage to Sir Edmund Mortimer. Her paternal grandparents were Humphrey de Bohun, 4th Earl of Hereford and Elizabeth of Rhuddlan, daughter of King Edward I of England and Eleanor of Castile. Her maternal grandparents were Bartholomew de Badlesmere, 1st Baron Badlesmere and Margaret de Clare. Elizabeth's parents both died when she was young, her mother having died in 1356, and her father in 1360. On 28 September 1359, by Papal dispensation, Elizabeth married Richard Fitzalan, who succeeded to the earldoms of Arundel and Surrey upon the death of his father, Richard Fitzalan, 10th Earl of Arundel. At the coronation of King Richard II, Richard carried the crown. In the same year, 1377, he was made Admiral of the South and West. The following year, 1378, he attacked Harfleur, but was repelled by the French. Fitzalan allied himself with the King's uncle Thomas of Woodstock, Duke of Gloucester, who was married to Fitzalan's niece Eleanor de Bohun, who was also his wife's niece. The two men eventually became members of the Council of Regency, and formed a strong and virulent opposition to the King. This would later prove fatal to both men. 1. Thomas Fitzalan, 12th Earl of Arundel, Earl of Surrey KG (13 Oct1381- 13 Oct 1415), married 26 November 1405, Beatrice, illegitimate daughter of King John I of Portugal and Inez Perez Esteves. The marriage was childless. 2. Lady Eleanor Fitzalan (c.1365- 1375), on 28 October 1371, at the age of about six, married Robert de Ufford. Died childless. 3. Lady Elizabeth FitzAlan (1366- 8 Jul 1425), married firstly before 1378, Sir William de Montagu, secondly in 1384, Thomas Mowbray, 1st Duke of Norfolk, by whom she had four children, thirdly before 19 August 1401, Sir Robert Goushill, by whom she had two daughters, and fourthly before 1411, Sir Gerard Afflete. The Howard Dukes of Norfolk descend from her daughter Margaret Mowbray who married Sir Robert Howard. 4. 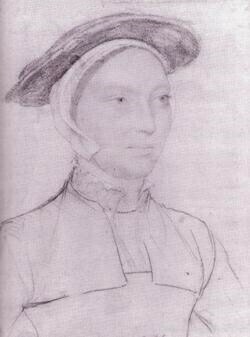 Lady Joan FitzAlan (1375- 14 Nov 1435), married William de Beauchamp, 1st Baron Bergavenny, by whom she had a son, Richard de Beauchamp, 1st Earl of Worcester and a daughter Joan de Beauchamp, wife of James Butler, 4th Earl of Ormond. 5. Lady Alice Fitzalan (1378- before Oct 1415), married before March 1392, John Cherlton, Lord Cherlton. Had an affair with Cardinal Henry Beaufort, by whom she had an illegitimate daughter, Jane Beaufort. 6. Lady Margaret Fitzalan (1382- after 1423), married Sir Rowland Lenthall, of Hampton Court, Herefordshire, by whom she had two sons. 7. Son Fitzalan (his name is given as either Richard or William). Elizabeth de Bohun died on 3 April 1385 at the age of about thirty- five. Her husband married secondly Philippa Mortimer on 15 August 1390, by whom he had a son John Fitzalan (1394- after 1397). Richard Fitzalan was executed by decapitation on 21 September 1397 at Tower Hill Cheapside, London for having committed high treason against King Richard. His titles and estates were attainted until October 1400, when they were restored to his son and heir Thomas Fitzalan, 12th Earl of Arundel by the new king Henry IV who had ascended to the English throne upon the deposition of King Richard in 1399. Elizabeth is my 19 x great-grandmother. Thank you for an interesting article about her and the lovely portrait. Hi, this portrait is by Holbein who was alive during the Tudor reigns of Henry VII and his son, Henry VIII. It is unknown, but some give credit to it being perhaps Lady Anne Herbert (nee Parr); sister of Queen Katherine Parr.